With 84% of American families trekking their trick-or-treaters around the neighborhood, post-Halloween binging could land you in hot water with your dentist. It’s a fact that there is always leftover candy, even after you and your kids dig in. So what happens to most of the candy? 79% of parents’ help their kids make it disappear like magic. Don’t get caught in the candy trap! If you have a large amount of candy left over after Halloween, look for a local buy-back program. Many dentists will collect candy in exchange for prizes and sometimes even money. 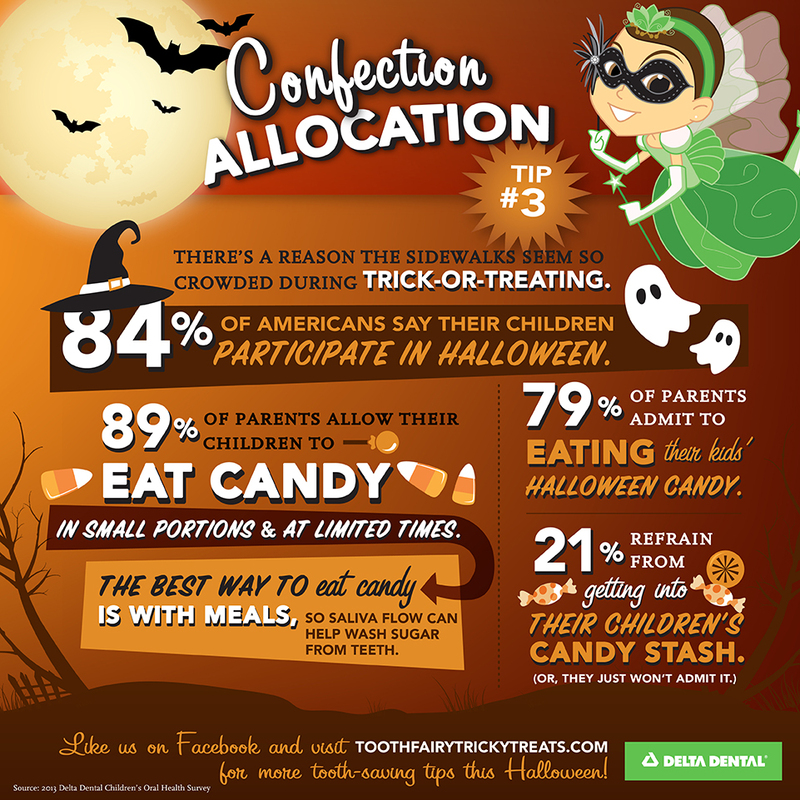 The candy might be sent to troops or underprivileged children, giving your child a lesson in giving back while avoiding a dental disaster!